The United States was secretly given permission from Yemen's president to attack the al Qaeda group in his country that later attempted to blow up planes in American air space. 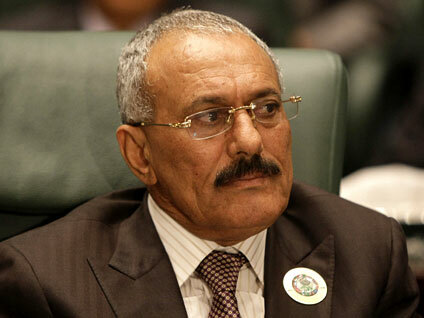 President Ali Abdullah Saleh told John Brennan, President Obama's counterterrorism adviser, in September 2009 that the U.S. had an "open door" on terrorism in Yemen, the Guardian newspaper of London reported Friday evening. Since the conversation between Saleh and Brennan, Yemen's government has taken credit for strikes with missiles and bombs that were actually conducted by U.S. forces, the Guardian reported. "Yemen insisted it must 'maintain the status quo' regarding the official denial of US involvement," reads one cable in the Guardian article from Ambassador Stephen Seche. "Saleh wanted operations to continue 'non-stop until we eradicate this disease.'" Within the past year, al Qaeda in the Arabian Peninsula has launched two attacks on the United States from Yemen: last year's failed Christmas Day bombing attempt over Detroit and October's foiled attempt to detonate planes either on U.S. soil or in American air space. In a conversation between Salah and Gen. David Petraeus, who then oversaw U.S. Central Command, the Yemeni president turned down an offer from Mr. Obama to deploy ground troops because of a concern about U.S. casualties, the Guardian reported. The cables also provide a more in-depth look on the country's failures to cut off access points for al Qaeda to conduct its attacks, the Guardian reported. Airport officials not receiving anti-terror training and cargo passing through X-ray machines unchecked are examples in the cables, the Guardian reported.